Shirts With Random Triangles: Dan Mullen signs a pregnant Mississippi State fan's ultrasound. 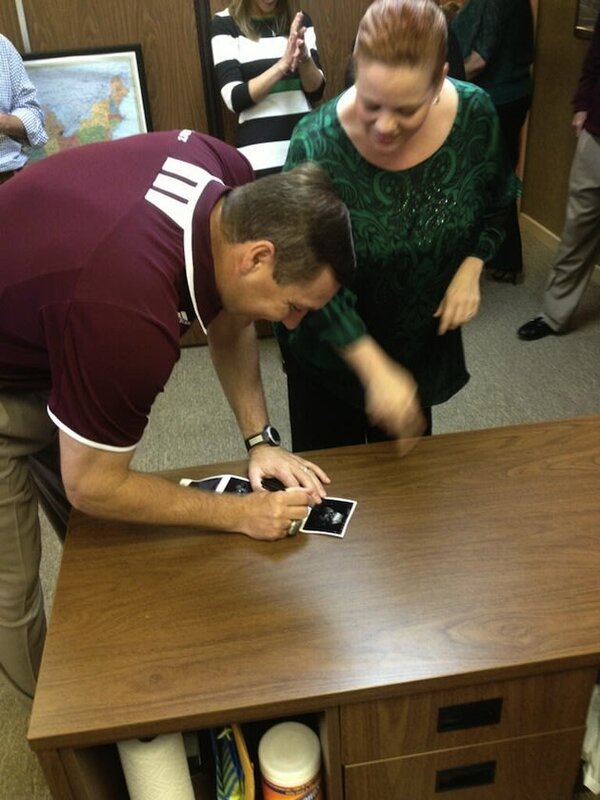 Dan Mullen signs a pregnant Mississippi State fan's ultrasound. Time for another entry into the "bizzare things signed by sports figures" department. This one comes from an undisclosed stop on Mississippi State's annual Road Dawgs meet and greet tour, where the Bulldogs' head football coach Dan Mullen was asked to sign an expectant mother's ultrasound. This is going to be awkward in eighteen years when the kid signs his or her letter of intent to go to Ole Miss.